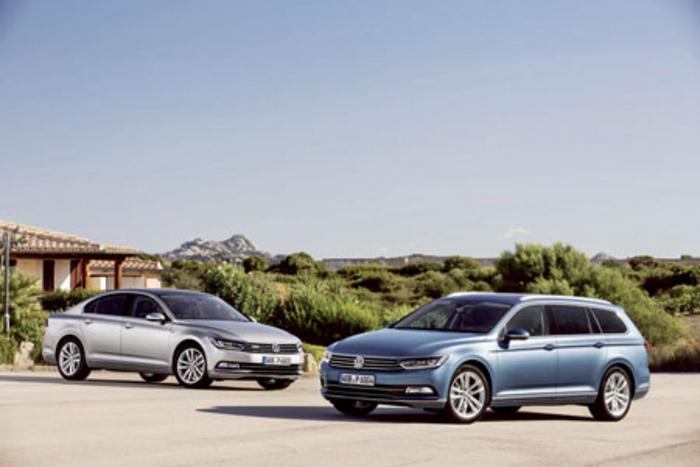 The independent European consumer protection organisation Euro NCAP has awarded the new Passat the maximum rating of 5 stars, follows its predecessor, which last earned the highest score in 2010. The Euro NCAP has been considered to be the most important standard for vehicle safety since 1997. The requirements were tightened again this year. And Volkswagen says that the new Passat passed the demanding NCAP test series with excellent results - and thanks to a world-class security package consisting of an optimised body structure, a highly effective integrated seatbelt and airbag system, and innovative assistance systems. The overall safety rating of five stars for the new Passat is composed of the results in four sub-areas: occupant protection for adults and children, pedestrian protection and security support. In addition, constructive details of the pedestrian protection, in the new Passat were graded; these reduce the risk of injury to pedestrians. These include, for example, the design of the bumper and the bonnet. In the Euro NCAP assessment of the safety systems, the safety-optimised head restraints, which minimise the risk of neck injuries in a rear-end collision, and seat belt-warning systems for all seats were evaluated. The front assist surroundings monitoring system including the city emergency braking, which is available from the comfortline upwards and was incorporated in the safety systems category, were also assessed positively. The new Passat has been available now in Germany for a few weeks and has a wide range of series safety equipment. These include driver and front passenger airbags (with front passenger airbag deactivation ) and a head airbag system for front and rear passengers including side airbags. In addition, the new Passat has standard series systems on board such as electronic stability control (ESC ) including ABS with brake assistant, automatic post-collision braking system, tyre monitoring indicator, and driver alert system.